Project management is an industry that can provide you with long-term and fulfilling career opportunities. If you identify as someone with good problem-solving skills and have the desire to showcase your leadership skills, then working as a project manager may be the role for you. Project managers generally work for many companies, both large and small in an array of industries including construction, business, insurance, engineering, software and IT. Not convinced? Skillstalk gives you the rundown on why project management could make a great long-term career if you’re someone who likes to tackle any complex challenge and have an out-of-the-box mindset.
. Even if you’re in a junior position, there is still potential for you to receive a promotion, that could then bump up your salary. Companies are willing to pay good money for project managers, as long as they fulfil the obligations of the company. So, if you excel in your job, it’s more likely you’ll receive a pay rise. According to Payscale, a Project Contracts Manager has an average salary of $100,871. , to be a successful project manager, you need to be willing to learn from others. This can help you broaden your knowledge and can even achieve better results by simply listening to what others have to say. By simply speaking with your colleagues, you could gain a skill set you never thought you needed, making you even more valuable to the company. Learning on-the-job is how you learn skills in a project management role but studying an online qualification such as a Diploma in Project Management (BSB51415) can help strengthen your job prospects as you can take away all of what you learnt from a course and apply it into your role as project manager. as a project manager and build relationships with others. Since it is one of your main responsibilities to lead a team, being across all communication styles can help you read situations better and be able to express yourself effectively while showcasing great leadership. While bringing ideas to the table is your forte, your main priority is to have a good follow-through when it comes to the execution part. As a project manager, you need to have excellent decision-making skills and have the ability to estimate risks so the company you work for does not go through any losses. even more when going after project management roles. Having an idea of what type of company you want to work for and what type of projects you want to be involved in can help you be motivated when it comes to chasing your career goals. In addition, you can move across industries in case you get bored and that can help you improve your job prospects if you’re open to new opportunities in a different industry. , especially if you have been tirelessly working with your team towards a smooth and successful product launch . Working in project management means you will see projects from the start until the very end. In essence, your job is to make sure you do everything you can to deliver quality results of a specific project. This can help boost your company’s reputation and build your current professional network. Although project management can put you through some challenging obstacles, being the reason a project has been successfully completed can be highly rewarding. What jobs can I do in project management? 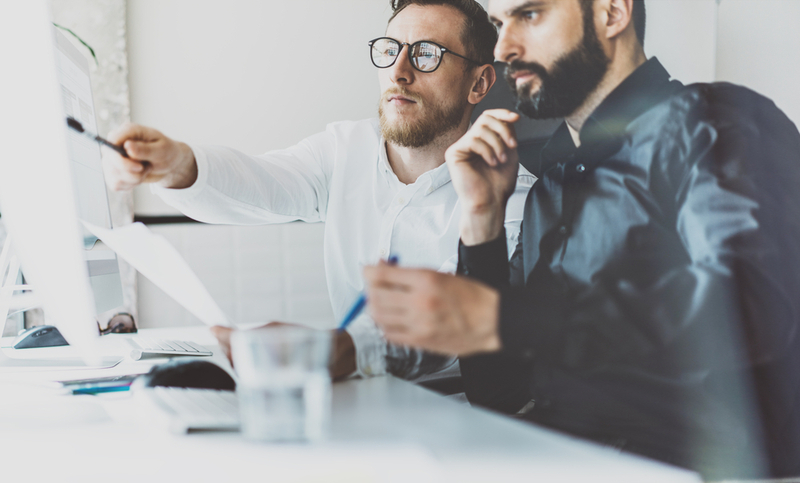 Project vendor managers use their leadership and attention-to-detail skills to ensure that businesses are receiving the service guaranteed by their vendors. To become a successful project vendor manager, being adaptable to change and a skilled negotiator is important. Having an outgoing personality can also help you build and maintain positive relationships with vendors. Project assistants use their communication and administrative skills to help coordinate their team members to achieve project objectives. They need to be highly organised and resourceful, while also having a good understanding on what the project objectives and goals are. In addition, project assistants need to be able to multitask and work under pressure so that they can meet strict deadlines. Project contract managers work across different industries and ideally they possess excellent oral and written communication skills. They also need to be highly-organised since part of their job is to liaise with different clients and businesses on a regular basis. Furthermore, project contract managers need to be effective problem-solvers who are able to manage change and come up with unique ideas. If you want to know more about the future of project management and the direction the industry is heading towards, check out our FREE ebook ‘Careers in Project Management...and the future of the industry.’ This ebook contains information about the current trends in the project management industry in Australia, its employment distribution and the career options available. Depending on your current career goals, you may be interested in breaking into the industry of project management, or be a seasoned professional who is looking to expand their current skillset. Be sure to check out Upskilled’s project management online courses so you can learn practical and relevant concepts that can be applied in your current or future job roles.